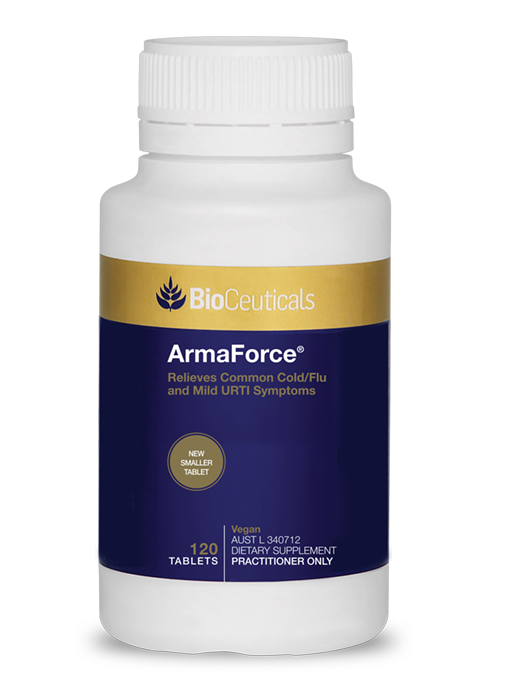 ArmaForce is a comprehensive formula combining the herbal and nutritional ingredients andrographis, echinacea, olive leaf, vitamin C and zinc. 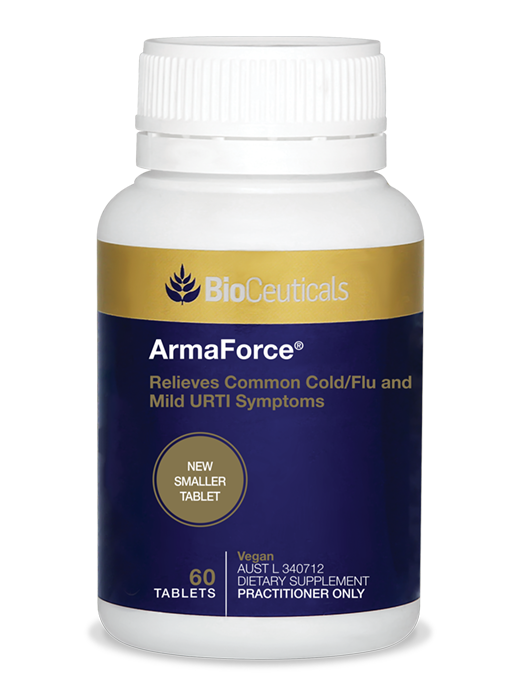 It is scientifically formulated to provide relief of symptoms of mild upper respiratory tract infections and decrease the severity and duration of colds. 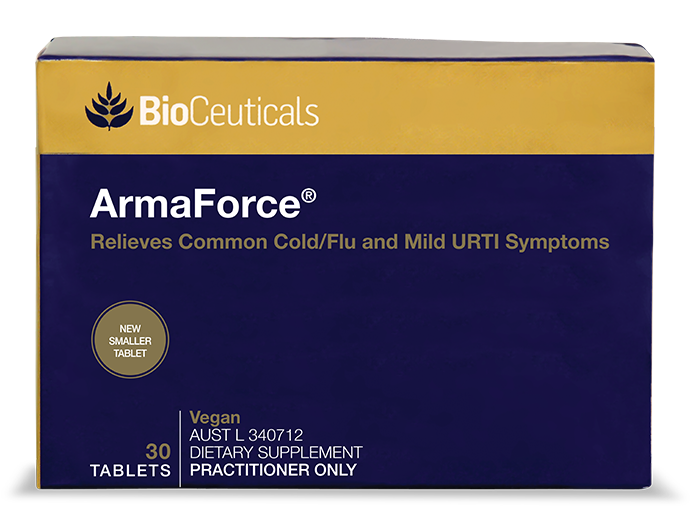 ArmaForce supplies nutritional support for healthy immune function. 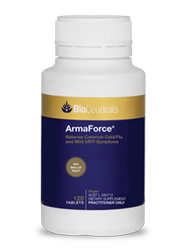 Each tablet provides 62.5mg andrographolide from a standardised extract of andrographis. 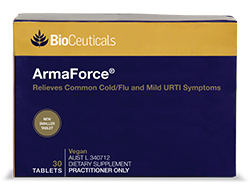 Echinacea is used in traditional western herbal medicine (WHM) to relieve the severity of symptoms of mild upper respiratory tract infections (URTIs) and support healthy immune function. 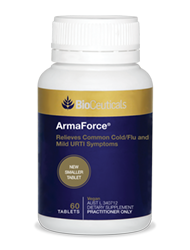 Andrographis reduces the symptoms associated with mild (URTIs), including sore throat. Olive leaf is traditionally used in western herbal medicine to relieve mild fever. Large doses of andrographis may cause gastric discomfort, vomiting or loss of appetite and/or taste.